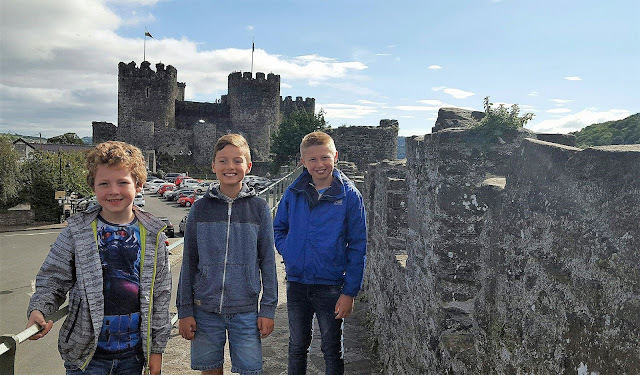 I can't believe how much value I have had from my Cadw membership already, we have been to Harlech Castle a couple of times, Caernarfon Castle a couple of times and our latest visit was to Conwy Castle as they had a special event on. I have plenty more visits across Wales planned for the year, so I have a feeling my £63 yearly membership will be paid back many many times over! The event itself was fantastic, very educational, it was as if the castle had gone back in time with all the sights and sounds of that era. The people at the event were so knowledgeable about their particular stand, we learnt so much and it was all very enlightening. 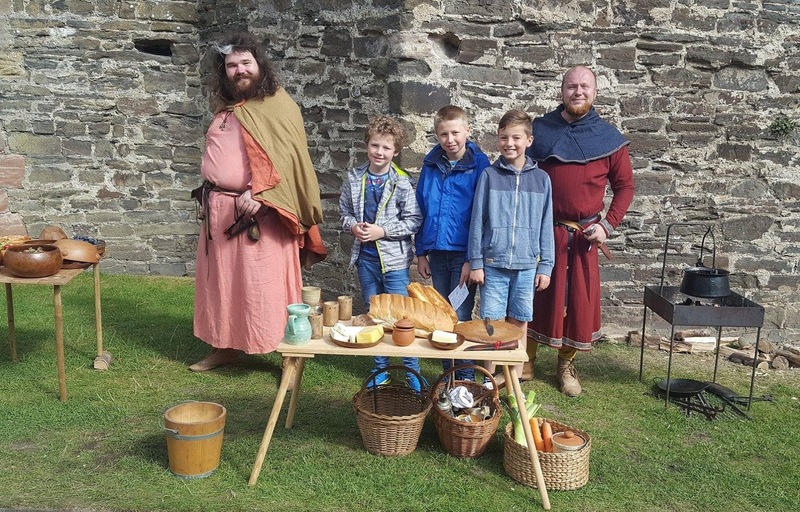 My boys love visiting castles, just to quench their thirst for exploring and adventure but this visit offered lots more. They have begun to understood more of the why things were like that back then. 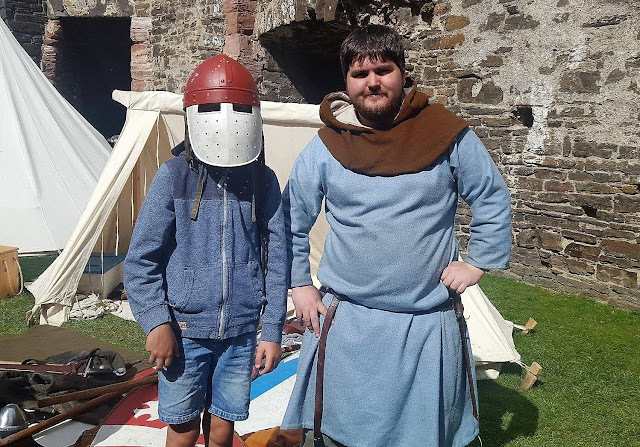 The boys were allowed to try out the helmet, shields and weapons for size! 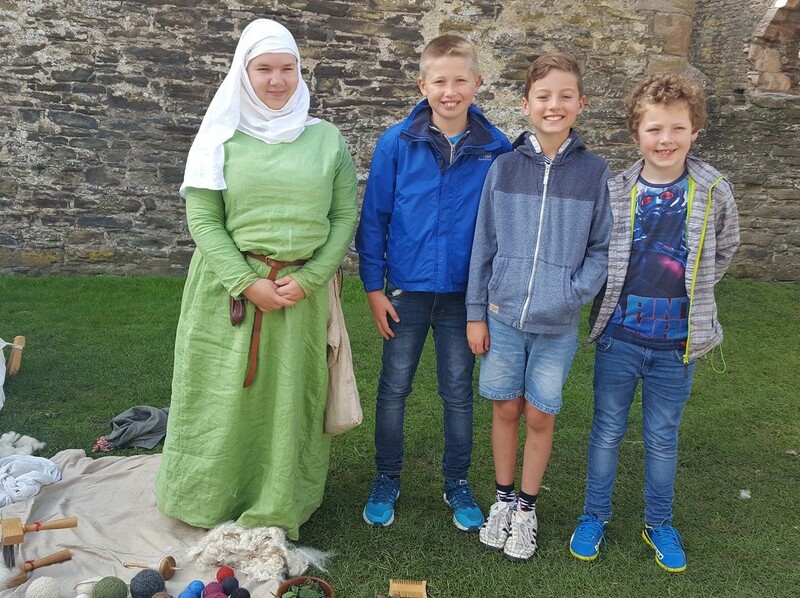 We learnt much more about knights and how valuable they were considered, if you managed to catch a knight it was best to only injure them not kill them outright as you could get a sizable ransom when returning one home. Also best not take too long to pay ransoms as the knight could well switch sides and make things more troublesome for you in future. As was the case for Mortimer who gave up on Glyn Dwr and went on to marry the Welsh rebel’s daughter. The boys learnt about dying wool the different things that were used back then to get colour, like beetles and even iron filings, although the later wasn't very practical as the wool wasn't as hard wearing afterwards. The castle and town walls took four years to build and cost £15,000 which is the equivalent to £45 million today! Yikes that's a lot of money.